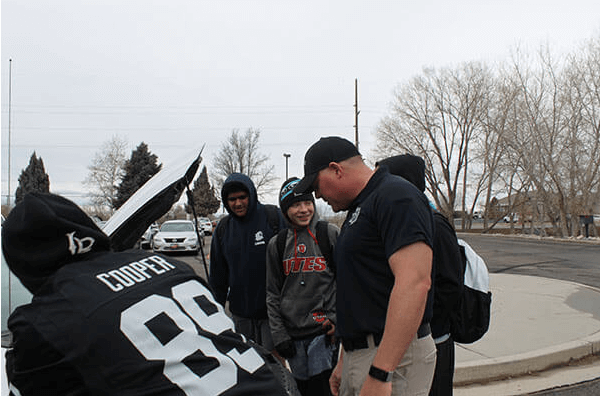 A “search and seizure” activity was presented to the students in Officer Jason Crowther’s Law Enforcement class. 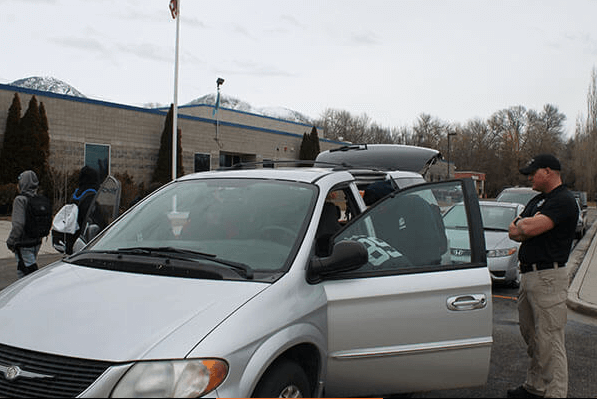 The law enforcement class was put in a scenario where they acted as officers who pulled over a van that had been swerving, giving a suspicion of a DUI. 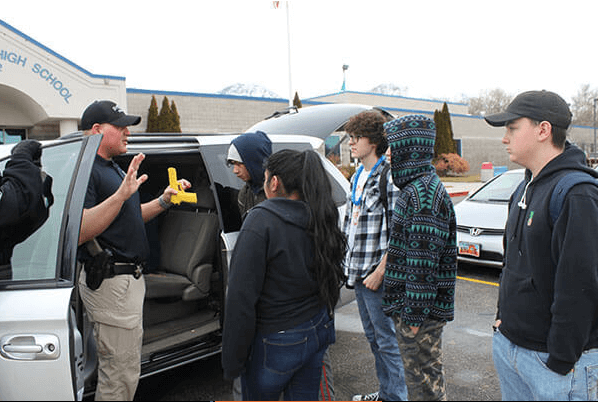 In this scenario, they acted as though suspicions of drugs had been confirmed and the students were then able to practice conducting a search and seizure. 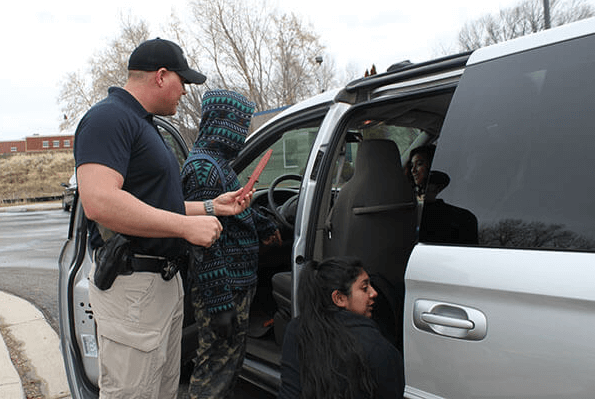 They were given the instruction to find anything illegal that could be in the vehicle. Officer Crowther hid eight bags of pretend drugs, a fake knife and a fake gun. They found drugs taped to the seatbelt, under the matts, in between seat cushions, the gun tucked behind the passenger’s seat and the knife in a loose section of the interior on the driver’s side. After identifying all illegal substances, they headed back to the classroom where they were taught the correct technique for conducting an arrest. The students practiced placing the suspected criminal in a wide stance with their fingers interlocked behind their head. Then, they learn the proper method for placing cuffs on the individual. Through participating in this class, students are able to learn knowledge that will help them to get a head start in a potential law enforcement career, which consequently helps students to start formulating goals for their future.